TEAM: STARTING LINE UP – Kris, Jason, Christian, Muzz (Manager), Dave F, Anthony (Capt) Ed, Sam, John A, Jacobo, Mark. 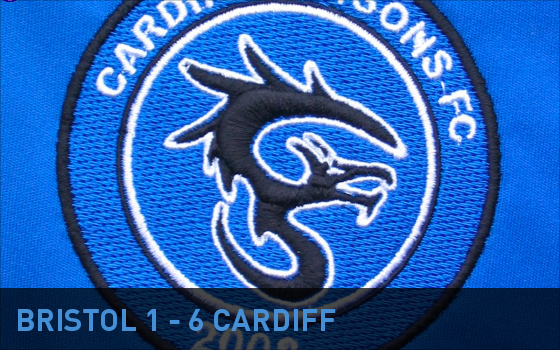 In an absolutely storming performance the Dragons ran out 6-1 winners in their GFSN cup match against the Panthers, in their first competitive game of the season. In the first 15 minutes the Dragons piled the pressure on the Panthers goal forcing a number of corners with Mark, Anthony, Jacobo and Ed coming very close with efforts on goal. It was only a matter of time before all the pressure paid off and on 20 minutes and 25 yard thunder bolt from Jacobo broke the duck 1-0 Dragons. On 25 minutes Kris was called into action making and excellent save low to his right. On 28 mins Muzz had a shot that was inches over the bar as the Dragons continued to press forward. Muzz and Dave F were also very solid at the back as were Christian and Jason making timely interceptions. On 30 minutes it was 2-0 Dragons Jacobo again from the edge of the penalty area this time. The Dragons were not having it all their own way and Kris was called into action again making two very good saves in quick succession. The Dragons upped the pressure again and on 36 minutes Mark made it 3-0 with a chip in from just outside the 6 yard box. On 40 minutes it was 4-0 this time it was Anthony with a powerful shoot that raced in the back of the net. The Dragons were still not having it all their own way the half ended with a yet another great save from Kris. Start of the 2nd Half Muzz replaced Jason with Aris at right back. Playing up hill in the 2nd half the Dragons started off finding themselves under a bit more pressure for the first 15 minutes of the 2nd half. Then Mark saw a chance just go wide after a good through ball and break away on 62 minutes. Then a controversial refereeing decision on 65 minutes when the ball had clearly gone out for a goal kick a corner was given and at the resulting corner the Panthers scored. 4-1 Dragons. Muzz then decided on 65 minutes to change both Jacobo and John A to give the 2 remaining subs Simon and Daren some very valuable game time. In doing so he put Dave Fry in Midfield in replace of Jacobo and Daren went into the center back position and Simon taking over on left wing. On 70 minutes Mark then made it 5-1 after some good work from Anthony Mark finished well. With the 3 2nd half subs settling in well Aris, Daren, and Simon and with Muzz as solid as ever at the back the Dragons started to apply the pressure again. Then on 80 minutes from a pin point corner from Anthony Ed scored a absolutely cracking header. 6-1 Dragons. There was still time for Sam to have a shoot cleared off the line after working tirelessly all game on the right wing. That only leaves the management to thank all the support we had on the day. Dave Keith for running the line even though he was injured in the first half and Jason doing a grand job in the 2nd half. A big thank you to Richie, Jordan, James. It was also great to see both Jerry and Graeme on the line encouraging the boys.